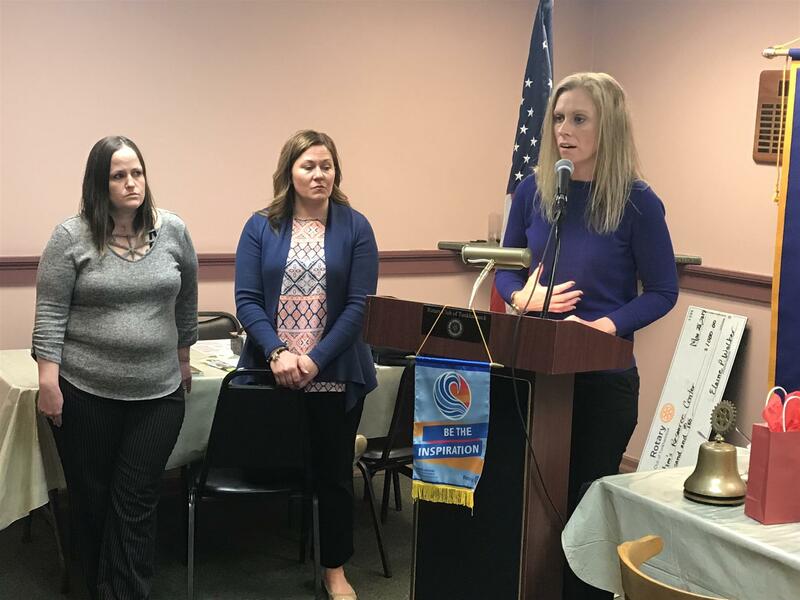 Katherine Pohidal was the guest speaker at the Mar 28 Rotary meeting at Purkey's Pink Apple. Katherine is the Director of The Ruth Matthews Bourger Women with Children Program at Misericordia University. Katherine thanked the Club for helping them with money to buy children’s gifts at Xmas, which we have done for the last 2 years. Katherine also introduced Rene, a student in the program and Sandy Johnson, who is the Program Coordinator. The Program started in 2000 to help moms at the poverty level, who could not access education. It provides the opportunity for the moms to earn their college degree in addition to providing housing to these moms with their children. They get free housing for up to 4 years, attend college full time and have time with their children. They also help them sustain their degrees and help with placement post-graduation. Within 2 years, they no longer need any govt subsidies. Katherine then shared the exciting news that Gov. Wolf has recently recommended that this model be duplicated throughout PA. The Parent Pathways program was begun with 5 pilot initiatives, which will replicate the Misericordia Program. The goal is to help people out of poverty and sustain this new level of support.